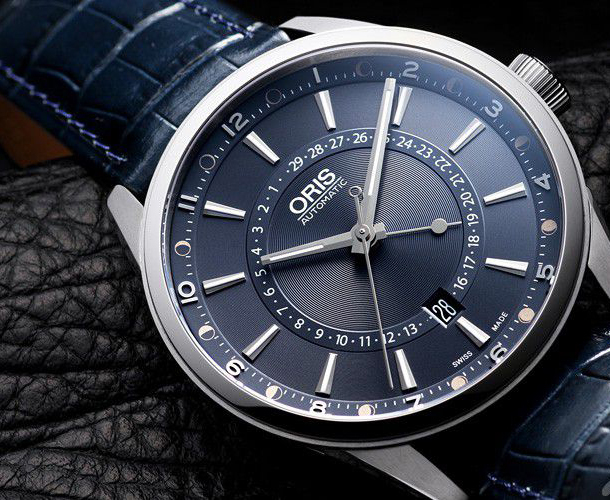 Oris has been one of the top manufacturers of fine Swiss watches since the company was founded in 1904. Oris exclusively produces mechanical watches with automatic and chronograph movements, and has several lines of fine timepieces that fall under the categories of motor sports, aviation, culture and diving. The brand has earned worldwide recognition and acclaim, and has been the brand of choice for professional musicians and athletes alike. The Oris Artix Tycho Brahe (ref: 01 761 7691 4085 LS) is a limited edition timepiece inspired by Tycho Brahe, a 16th-century Danish astronomer. Brahe’s astronomical and planetary observations led to an early-theorized model of the solar system known as the Tychonic system, which was based off of the idea that the sun and moon orbited the earth, while the other planets orbited the sun. This timepiece bearing his name features a Pointer Moon Phase function as a nod to Brahe’s contributions to the field of astronomy. The Oris Artix Tycho Brahe watch is limited to just 500 pieces and comes in a special wooden presentation box. This timepiece is crafted from polished stainless steel and is affixed to a dark blue crocodile leather strap. Powering the Tycho Brahe watch is the Oris Caliber 761 self-winding automatic movement with a 38-hour power reserve. The case back features special engravings depicting Brahe’s planetary theory. This timepiece is an excellent choice for any watch collector or astronomy enthusiast. The midnight blue dial and matching strap are elegant and sophisticated, making this an excellent watch for both formal and casual occasions. 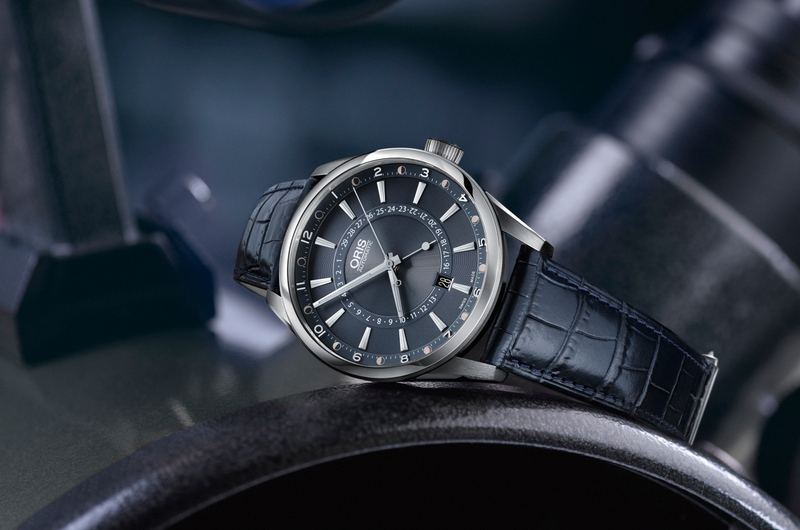 Oris is an exceptional brand with thoughtfully crafted timepieces that combine style and function seamlessly. This entry was posted in Brand Name Watches and tagged 01 761 7691 4085 LS, astronomy, Authentic Watches Review, authenticwatches, AuthenticWatches Review, automatic watch, blue dial, discount, free shipping, limited edition, limited edition watches, luxury watches, moon pointer, moonphase, oris, oris watches, Swiss watches, timepieces, tycho brahe, watches. Bookmark the permalink.